The HTC One was among the top Android smartphones in 2013, and that’s thanks in part to the company’s new focus on OS updates. The HTC One launched with Android 4.1, but now is on 4.3 or 4.4, depending on which version you have. It’s the multiple versions that can get confusing. Why do some variants of a phone get KitKat while others lag behind? 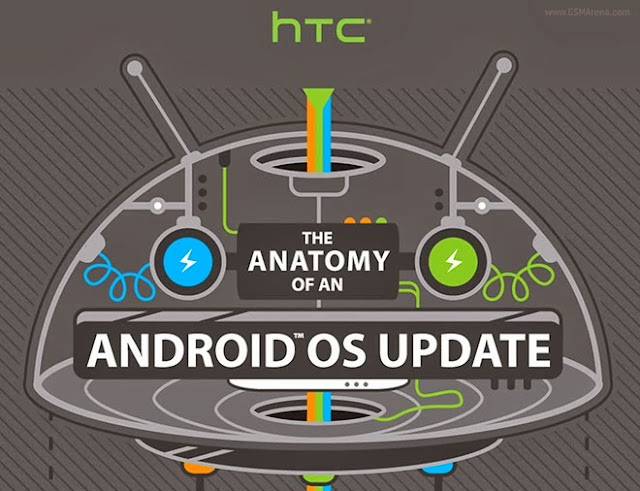 Stop staring angrily at that useless system update button HTC has a new update status page with a big graphic that explains the anatomy of an Android update. HTC sells several versions of the HTC One, but they are nearly identical on the inside. What sets each one apart is the software it runs. 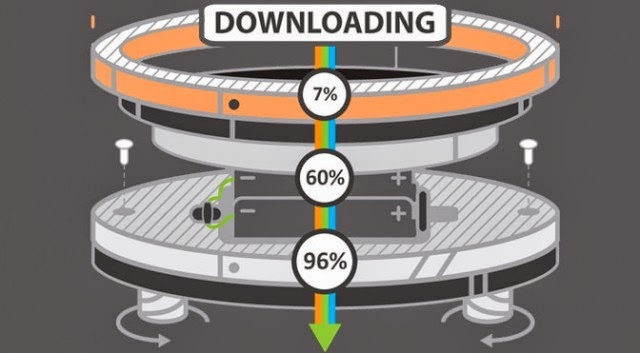 There are carrier-locked phones that you might buy on-contract from the likes of AT&T or Verizon, unlocked or developer edition phones, and the Google Play Edition HTC One. The OS update for each variant takes a different winding road through the testing labs and carrier bureaucracy. The handy graphic created by HTC is thousands of pixels tall, which really serves to indicate how complex the process can be. All three categories of devices start out the same, with Google delivering the Platform Developers Kit (PDK). The PDK consists of tools and code to assist in building Android updates before the new version has been officially announced. The three phones stay in sync as chipset makers like Qualcomm update their drivers and HTC plans its development process. Things start to diverge when HTC begins integrating its custom services. The carrier and unlocked HTC One get the Sense interface and features, but the Google Play Edition phone (which runs stock Android) bypasses this step. Next, the carrier-locked phones have to be customized for each wireless company. This is when the infamous carrier bloatware and services are added, but again, the GPE device sails on by, this time joined by the unlocked HTC One. HTC does internal lab testing on the updates for all three phones, but the carriers do additional testing on their devices. If bugs are found, the update will be tweaked and tested again before any wireless tweaks are recertified by regulators. When everything looks good, the update is ready for final approval, called Technical Acceptance. The locked versions have to go through Technical Acceptance from the carrier and Google, but the unlocked and GPE phones just go through Google. The last step is sending over-the-air updates out to customers, which is handled by HTC, the carrier, or Google, depending on the version. HTC’s forthrightness reaffirms what we’ve long believed about Android updates the process is slowed down by the OEM skin integration (HTC Sense) and by carrier customization. The unlocked device gets to bypass the carrier nonsense, but the stock GPE phone bypasses carriers and HTC’s software tweaks. As such, it’s no surprise AT&T, Verizon, T-Mobile, and Sprint One owners are still waiting on the 4.4 update. That software has already hit the unlocked and developer and GPE versions. At least now we know who to blame. Now read: Master key vulnerability - Is your Android device safe from Hackers !